Try Highly Proficient Entourage to PST conversion tool for free and do Ultra Smart Conversions now! Take your pick! Convert Entourage 2004/2008 emails to any Outlook Version support for version 2003, 2007, 2010, 2013. Convert your mails now! Try today our Entourage 2004/2008 converter with 0% chance of errors! Safe. Professional. Ultra Smart Conversions now! Take your pick! Microsoft Entourage users who want to export their Entourage to PST files used in Outlook for Windows can use this all new Entourage to PST converter designed specifically to provide the smoothest conversion of your mailboxes. It has been seen nowadays users of Microsoft Entourage email client making a shift of their email messages to Windows Outlook with PST files for availing benefits of Outlook in case they wish to migrate to Windows Operating system or they need access to emails on both the platforms to be more productive on their work front. Our Entourage to PST Converter has couple of generous features which makes the conversion process of your Entourage files to PST format smooth and easy. Entourage to PST Converter is one highly helpful and neat solution to migrate all your Entourage emails to Microsoft Outlook for Windows mailbox in the form of PST files, so that the email platform changed from Entourage to Windows Outlook would not affect the communication process of your enterprise at any cost. We make available the most technologically advanced features with our Entourage to PST converter so that you don’t have to face any problems at all when it comes to you trying to convert your emails from Entourage platform to PST files used in Windows Outlook. With entourage to PST Converter, you can easily convert your entire Microsoft Entourage email data into Microsoft Outlook for Windows PST file format. With our Entourage to PST Converter you can now migrate all your Emails risk free and without any danger of loss of your valuable data. Entourage to PST Converter also provides you with the choice to search for all required Entourage files in your system. You can search for these Entourage files that you want to get converted to PST format in any specific Drive, folder or subfolder. While converting your valuable data from Microsoft Entourage files to Windows Outlook PST files, be assured that the folder hierarchy of your Entourage Mail will be maintained and retained by the tool once it is converted to PST format. 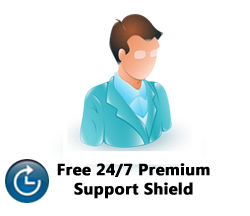 The Entourage to PST Conversion software allows saving the converted mailbox as a new PST file in any location that has been provided by you. Thus you have the choice to save the Entourage Files into PST files in any desired location in your system. Entourage to PST Conversion Software transfers entire Microsoft Entourage email properties such as to, cc, bcc, fields and attachments to PST file format without losing any information. Entire email folders like Inbox, Outbox, Drafts, Sent Items etc are transferred to PST file format from Entourage Format. Try the free demo version of our Entourage to PST converter and successfully convert your emails from Entourage to PST to check the functionality and make sure the conversion process support all your requirements. Free Demo version can convert 10 emails from Entourage to PST format for each folder. Only if you are satisfied with the free demo version, purchase the full licensed version of our Entourage to PST Converter software to unlock and avail all its features to convert your Entourage files in minutes. Entourage to PST Converter needs to be installed and works on PC only. Note* : Entourage to PST Converter needs to be installed on PC to convert mails. Microsoft® Outlook 2003 / 2007 / 2010/ 2013. 1. Microsoft® Outlook 2003 / 2007 / 2010 /2013 should be installed on the system. 2. Microsoft®.NET Framework 3.0 or higher must be installed on your system. Copyright © 2013. Entourage to PST Converter. All Rights Reserved. owners in United States and/or other countries.